I was recently in a meeting with a large public health agency looking for new software to manage their TCM clients and a question came up about allowing multiple people (Nurses) to manage a referral. That was a good question and at the time, NurseReferralPro did not support this feature. After this meeting, I discussed this with my partner Nancy, and we thought this would be a great feature to add to NurseReferralPro. After a few days of development and testing, this feature is complete and now live. Here is a screenshot of this simple, yet very helpful feature. 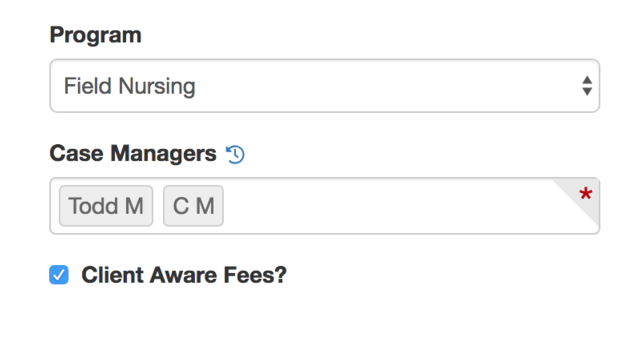 We love hearing good suggestions about making NurseReferralPro better and this was a case where it was too good and simple not to add this feature.